If this sounds like you, then you might be a strong candidate for venture capital funding.  We’ll show you how to pitch to venture capital firms, why you would go after a particular VC firm, and how to get the most out of every interaction. If you already have funding from friends and family, angel investors, or you’ve been bootstrapping and are ready to go to the next level, venture capital might be right for you. Venture Capital is not always the right path. Inexperienced owners can have unrealistic expectations and find themselves losing control of the company they created. The more you know about your customer, the more you can prove traction, and the more likely you are to retain control of your company. Otherwise, the risk profiles for your deal will be higher, and you’ll need to give up more equity to entice someone to join your investment team. But if you have a solid plan backed by rock-solid customer acquisition, you have a good starting point to seeking venture capital funding. Tech Crunch has a great article detailing some of the pitfalls of this funding model. But if you decide this model is right for you and your company, read on! Knowing who you are pitching to is always the first step. What do you want from the people you’re pitching to? Is it just funding, or could they be providing more? Once you know who you’re talking to, it’s a little easier to figure out what is meaningful to them—and how you can tell your story in a way that captures their attention. This is not a one-size-fits-all approach. It requires focus, so you can keep learning and improving your pitch and overall approach. Without focus, you risk spreading your energy too thin and not getting the most out of every interaction with both customers and investors. Venture capitalists are looking to expand their performance by funding promising startups and helping them scale their operations. Venture capitalists can be individuals or operate as a firm that pools money and assets and invests in rising stars. Make every interaction count by setting multi-dimensional objectives that benefit you in the long run, beyond just an infusion of cash. What is a VC Firm? A venture capital firm is an organization that supplies early-stage capital to startups or small business, in exchange for ownership equity. The money used for investment comes from individual investors, and is pooled through a VC firm to then make investments in growth and expansion across selected companies in a particular industry. Learn more about the history of venture capital in the US here. Venture capital firms usually operate inside a particular industry and will not do deals outside of that particular industry. These firms minimize risk through deep understanding of what works and what doesn’t in response to industry-specific variables and external conditions. Investing in this way allows the venture capital funds to be better managed in only the most promising opportunities. What does a VC firm look for in a new investment? Venture capital firms combine cash and industry expertise to support underperforming but high growth potential businesses. Getting in early, the VC firm leadership can help shape the business, point it in a positive direction, and secure its traction. VCs want to see solid leadership nonetheless. They need to know that the business is growing, financially stable, and has a compelling underlying story. Why does this your company have long-term potential? And why should this firm invest in it? How solid are your returns? What is your business worth? What do you have that no other company has? It’s important to have a clear idea of how you fit in, where your strengths and weaknesses are, and what your story is. Think about everything in relation to why your customers are buying and the pain that they are feeling. These are key elements you need to pique VC interest. Gaining traction early in the non-scalable phase of your growth (ie, now) is critical for showing them how that plan scales, and how much it is going to cost. This, along with possible pitfalls and opportunities, are all things to consider when building out the pitch story for the VC audience.There is proof in this traction, and extrapolation of that traction. And it’s the proof that VCs are looking for to reduce their risks and be good stewards of their participants’ funds. How does the VC fit in? How does their industry experience and knowledge help you differentiate your company and become a better competitor? How will these particular investors help you dominate your industry? What do you think they can bring to the table and how would you utilize them, beyond money? How would you utilize their money? What kind of revenue targets can you commit to? What are your cost benchmarks, and at what volume will things change? How can I find VC firms? Right. This is the all important question: how do you find the right VC firm, and how do you get your pitch in front of them? Angels and high-net worth individuals are notoriously hard to find and connect with, but venture capital firms are not! Almost all of them have a web presence, and most have a physical office. Even better, there are online listings of venture capital firms for you to peruse. For US-based companies, check out the National Venture Capital Association. This is a great repository for the US VC industry, where you can find news, resources, events, and research tools. The NVCA also lists specific information on their member firms and corporate venture groups. In Canada, you can find venture capital firms at the Canadian Venture Capital & Private Equity Association. What do we always say at Pitch Deck Fire? Practice, practice, practice! The power of practice cannot be underestimated. Once you have a general idea of your story and the structure of your pitch, you should be able to practice it in a variety of settings and role play a variety of audience groups. The meetings below are pitch channels. They are representative of the type of pressure, interaction, and time you might have in typical pitch scenarios. Generally applicable to all, your pitch should do a great job at setting up your company, problem, pain, solution, and team. The overall depth in financials depends on the overall maturity and knowledge of revenue and costs. As you can see, there is quite a bit of prep needed here, so we want to include all that prep in practicing. Practicing means thinking through the best way to do something, documenting it, doing it, and then making it better. We are always practicing. It’s an all-day, every day kind of thing at Pitch Deck Fire. And we want it to be the same for you, too. Ah, the informal coffee meeting! You get to meet the investor and talk to him personally about the opportunity. This is probably the most comfortable of the pitch channels and can happen in as little as 5 minutes to as much as 30 minutes. It’s not so much a pitch as a conversation. For this meeting it’s best to stick to the high-level story, and have your detailed financial projections developed for follow-up questions and analysis. The conversation flows from identifying a good value exchange from the beginning, and having multiple objectives that make every one of these meetings valuable and productive. Pitching at large contests can definitely be nerve-racking, but the exposure and practice you get in that setting can be extremely rewarding. In particular, getting your consumer product on-stage at a widely attended pitch contest can help you nail down potential customers, while simultaneously attracting investors lurking in the area. Creating offers that both attract and segment your target audience, and how you want to interact with them after the pitch, is key to setting up a good follow-up game. There’s probably nothing harder than getting up in front of a bunch of industry experts and delivering your pitch. These Shark Tank-esque meetings are rare. Most of the time, the group pitch will be only two people, not a panel. In either case, position your company to take advantage of—and benefit from—the multiple perspectives about your product and the industry. Good questions are just as powerful as good content and story. You’ve made it past the initial rounds of scrutiny. The VCs are at least interested in hearing more about what you’ve got going on. You might have met them for coffee, maybe they saw you pitch, maybe you cold called and they liked your send-ahead pitch deck. Either way, you’re on your way; but you’re not there yet. Be ready for anything. You might have a conversation, you might informally go through your pitch, you might stand in front of a room of partners and give your full pitch. Be ready for detailed questions, or follow-up requests for more data. They are really evaluating now, and you want to be ready. The pitch deck, when done correctly, is a better form of your business plan. It’s scalable to your customer marketing efforts and can dazzle investors, as well as get them the information they need in an easy-to-read format. So we suggest skipping the business plan, and putting more focus on your message and customer outreach strategy. Once you align your marketing and sales efforts and make it easy for customers to understand your pricing and what you do for them, it will be easier to get investors on board. After all, more customers equals lower risk. For this reason, we try to keep our founders focused on gaining traction before concentrating their efforts on venture capital funding. You want to show that you’re lowering the investor’s risk—you already know that your model works from all the early traction and customer base you’ve built. Once you do this, it’s clear that your business is a money-printing machine. If you invest in it, it will create more profit at a higher scale. If you aren’t there yet with your company’s story, start thinking about how you can maximize opportunity with your ideal customers. The more you can understand what they want and what they are responding to, the better your products and services will be. All of this needs to done in tandem with building a solid case for internal due diligence: What do things cost? What prices are customers happy paying? What are our competitors doing? Why us? Once you’ve determined that venture capital funding is the way to go for you and your business, these basic elements will help you get in front of your business trajectory, and at the same time have the answers lined up for the deep questions you’ll get while you are out attracting venture capital. Take your time to get it right. Don’t rush it before your ready; practice, practice, practice; and happy pitching!